We have already worked enough on the driftwood recycling projects. They guys who are the regular surfers of this website are very well familiar with the driftwood and its recycled projects. We have used the driftwood in various embellishments, we used them in making room lamps etc etc. 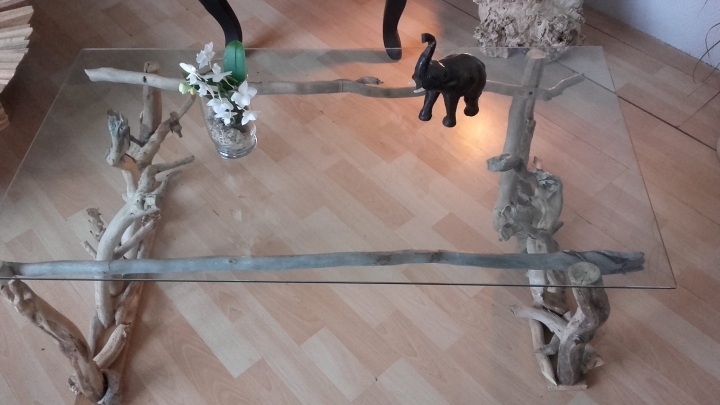 today we are going to upcycle a driftwood recycled table with the glass top. We just thought about this after having a number of pallet wood recycled tables. This would just render some change and would also make an artistic addition inside your house. Let’s have a look on the said table, I hope you guys would love it. 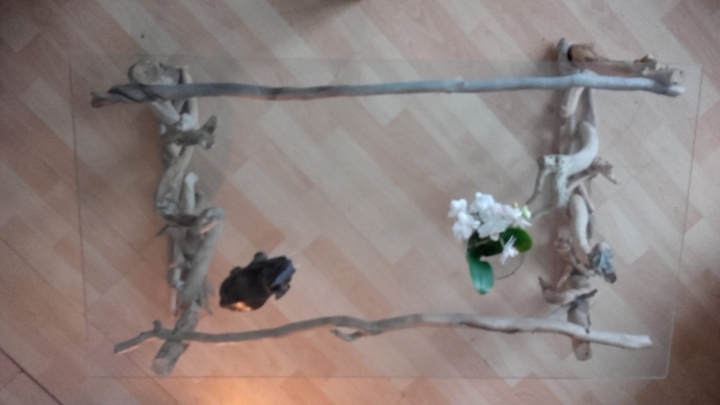 Before getting started let’s have a discussion on the possibilities that from where we can easily arrange the driftwood pieces. Well, this was absolutely insane, I mean driftwood belongs to see and only from there we can arrange the driftwood. We also have some limited options to buy it online but the provisions for this are pretty scarce. So better to collect as many as you can, the driftwood pieces whenever you visit the sea site next time. And arranging for a decent glass top wouldn’t at all be a tough task I believe. 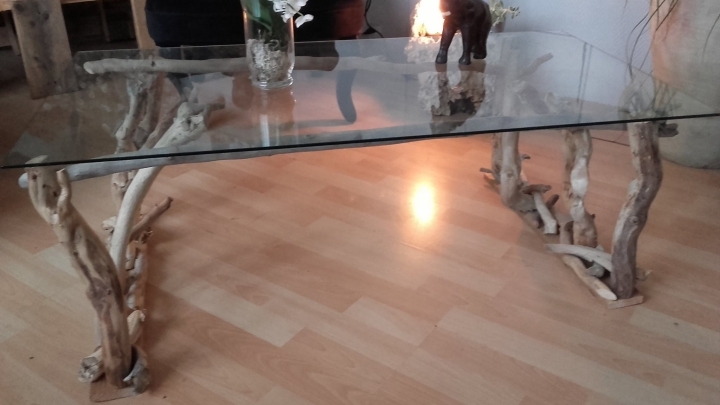 Now comes the segment of recycling the driftwood table with the glass top. We just have to make a strong base using the un even driftwood pieces by joining them together, and to make sure that they remain intact and do not fall. And the upper most pieces which are supposed to touch the glass top directly should be sanded and flattened so that glass top gets struck on the finished surface. And then we must use some adhesive to fix the glass top with the driftwood, be specific while using the adhesives that should be effective on glass and wood equally.